Some teachers have project work continuing throughout the school year. Others plan their curriculum so that it will include two or maybe three during the year. In some situations, the frequency of project work is influenced by school district patterns, regular school holidays, or other external factors. 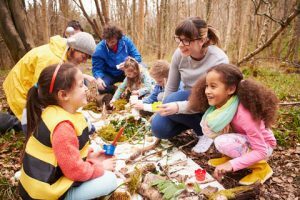 In some cases, teachers feel more comfortable focusing on a limited number of in-depth extended projects and using the rest of the time for other equally important activities such as outdoor play, story time, music, and spontaneous play. Some preschool teachers find it helpful to start the year with a sort of mini-project, lasting perhaps a week or two, such as answering questions about “How we get to school.” The children might tell the group about their walk or ride to school and what they see on the way. They could be asked to draw any big buildings they see or signs they notice on the way home. Once they are comfortable with sharing information, representing their ideas and observations, and responding to each others’ reports, then introduction of a more extensive project topic, such as the nearby supermarket, might get them deeply involved for several months. The length of time devoted to a project seems to vary with both the ages of the participating children and the nature of the topic. It is probably best for each teacher to decide which assignment of time best suits his or her own way of working, in light of district or state requirements, and to plan accordingly. 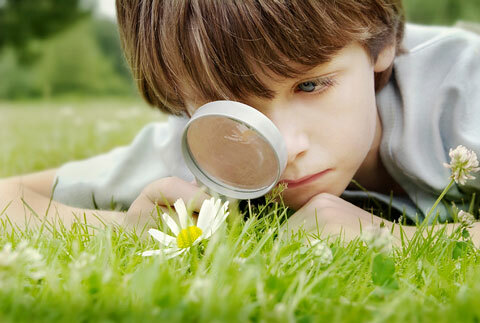 The important matter here is that whatever projects the children are engaged in focus on significant topics that can be investigated in depth and can provide wide varieties of learning for all involved.